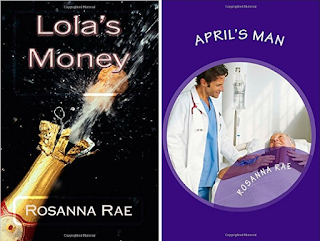 To read a review of her latest release - Lola's Money - and enter to win a copy click HERE! My journey to becoming a published writer began in much the same as any other writer’s experience. I bought the Writers’ and Artists’ Yearbook and wrote to every appropriate publisher. Most of them wrote back to me saying that they had read the sample of my work I’d sent them and felt it to be well-written and enjoyable, but that they were not taking on any new writers because of the financial risk. I was first published by Melrose Books and then by Austin & Macauley. However, as both of these publishers are considered vanity publishers (which I wasn’t aware of at the time), neither of them managed to get my books onto the shelves of any bookshops, so I decided to start publishing my own work. I now produce printed books using CreateSpace and also publish eBooks using Kindle Direct Publishing. Another question I am often asked is why I name my books using the same format, e.g. 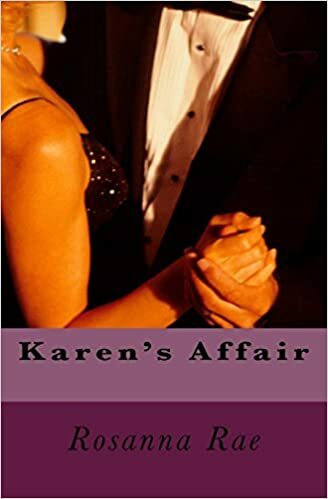 ‘Lola’s Money’, ‘Karen’s Affair’. There is actually a good reason why I make them so specific rather than using a well-known phrase or saying, which is what most authors do. When I wrote my first book, I gave it the title ‘Living a Lie’. It was published by Melrose Books in 2007. At that time, I believed that book titles came under copyright laws, and that because the publisher accepted the title, then it meant that no one else had ever used it and that no one would be able to use it in the future. As it turned out, I was wrong about the copyright situation. There are so many books published these days that the law on copyrighted titles had to be abandoned. When I first looked on the Amazon website to see my book, I discovered that there were a couple of other books with the same title. One of them was by a very famous writer of historical romance, Josephine Cox. I was gutted. My very first book, which I had thought was unique in every way, had the same title as previously written novels, making it seem as though I had simply reused someone else’s title. It was too late to change it once it was published. That’s when I decided that I would start making the titles more specific, using (except in the case of April’s Man) the heroine’s first name and also giving an indication of the theme of the book – secrets, dilemmas, affairs etc. 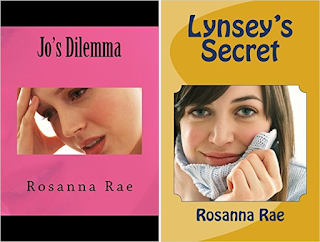 That’s why my titles are all presented in the same format: Lynsey’s Secret (which is a reprint of Living a Lie), Jo’s Dilemma, Karen’s Affair, April’s Man and Lola’s Money. Rosanna Rae is married with three grown-up sons and lives in Livingston, Scotland. She has a B.A. (Open) in Social Science subjects and also took a writing course with The Writers Bureau some years ago. She spent 16 years at home raising her family and then returned to full-time secretarial employment in Edinburgh. The author has wanted to write fiction since she was ten years of age, after reading an abridged version of Charlotte Bronte's Jane Eyre. She is delighted to be now fulfilling that early ambition. 'Lola's Money' is the author's fifth novel; she is currently writing her sixth book. Order her books click HERE!